The Downtown Steering Committee is pleased to present a draft of the Waupaca Downtown Plan! Over the last year, the city has been developing a plan for the next 10 to 15 years. The Waupaca Downtown Plan builds off the principles and goals of the Vision Plan prepared in 2015. The First Principles of this plan continues the momentum and commitment of past planning efforts by describing what success looks like for the community. These principles emerged from numerous interviews, small group discussions, and meetings. Download a copy of your plan! Share your comments with Brennan Kane at City Hall. "Main Street Project Pushed to 2021" from Waupaca County News on April 5, 2017. Open House on monday, April 24th from 4pm to 7pm. 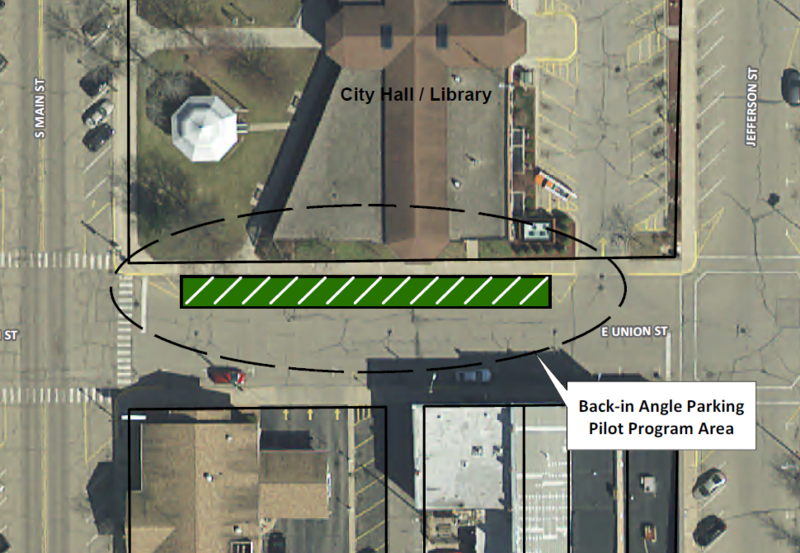 As preliminary designs are being considered by WisDOT, the city will host a public open house of the downtown plan and preliminary streetscape on Monday, April 24th. Everyone is invited. Doors open at 4:30pm for people to tour displays. A short presentation will begin at 5PM. Come and go as you like. When: Monday, April 24th from 4pm to 7pm. Presentation at 5pm. Danes Hall will be open from 10am to 4pm on Tuesday to view posters from the open house. Realizing the plan's vision must retain and attract new customers to the city. For the remainder of December, and probably January, the consultant team will be refining the "Exceptions to Standards Report". Designers presented possible themes for Main Street’s streetscape on October 26th. “The committee liked both concepts that we presented and wanted us to blend the two ideas into one,” said Ryan Peterson, a landscape architect for the streetscape design. “Now we want to continue to modify the concept to reflect the committee’s direction. Ultimately, the committee [and project team] want to attract visitors to downtown and make it a memorable experience that they want to share with others. The idea is that downtown and the entire City of Waupaca becomes an even greater destination.” The streetscape design will be presented at a public open house in January. But before any concept can be refined, the design team needs confirmation from the Wisconsin Department Transportation on the parking arrangement – angle and parallel. Marty Shukert, Principal Planner, discussed the five parking scenarios for Main Street. “The committee and project team is recommending the ‘hybrid’ streetscape design, which includes mostly angle parking throughout Main Street. Parallel parking is recommended on the east side of Main Street from Badger to Union, otherwise we’re recommending the balance of the street be angle parking. The committee mostly agrees that backing out of some stalls are difficult.” Again, the ‘hybrid’ concept is being presented to WisDOT for consideration. The city will learn whether the alignment satisfies WisDOT’s criteria by the end of 2016. “Reconstruction is not expected to begin until 2019,” said Jeff Saxby, Project Engineer. Updates will continue to appear on this site. Feel free to contact Brennan Kane at bkane@cityofwaupaca.com for more information. This planning process must consider and evaluate the implications for multiple scenarios. Each scenario has their advantages and disadvantages - safety and parking are critical subjects. What do you think? Send us a note.